As the years creep up on me I’m beginning to notice more and more signs of ageing, from those crinkly little lines around the corners of my eyes to the lacklustre tone of my skin. I’m always on the lookout for ways to maintain a youthful complexion and feel good, which is why these Marine Collagen tablets from T&N Health caught my eye. Marine Collagen tablets support anti-aging, wrinkle reduction and skin rejuvenation by maintaining the body’s connective tissues, joints and skin. Formulated with Niacin and Vitamin C to protect cells from oxidative damage, and supplements are made to the highest standard in the UK and also help to reduce the formation of wrinkles through the absorption of collagen and vitamins. The packaging states that you should take two capsules daily for which I’ve been having one first thing in the morning and the other just before bed. The capsules are smooth and easy to swallow with a cream coloured powder and I’ve had no problem taking them with water. After my first month of taking the Marine Collagen tablets I’m already noticing a difference, and what may seem very minimal to others is incredibly dramatic to me. My skin now appears brighter and less tired looking, and although it hasn’t given me a facelift or knocked ten years off, it’s certainly polished me up and I don’t feel that I look as worn out as I was. It’s given my skin the TLC that it needed from within, and I’m all for fuelling my body with vitamins to keep tissue and wrinkles maintained. 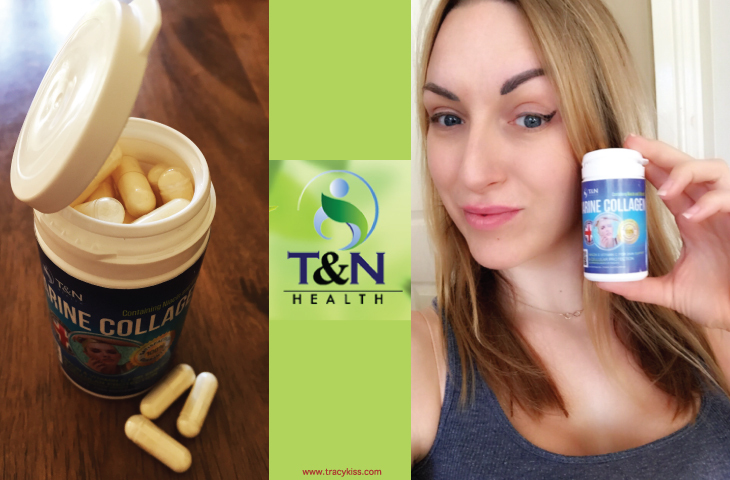 The T&N Health Marine Collagen tablets cost £19.99 for a pot of 60 capsules which is one months supply, with a 100% money back guarantee, excellent customer service and immediate delivery.